Home Sweet Deal on a MXR Phase 90! I like to bring these up when I can. The MXR Phase 90 is an insanely solid pedal.. and seen on countless boards. Great, classic phase effect, with a single knob to control speed. I’ve personally played with various phasers over the years, but I always seem to come back to the Phase 90, mainly because of the size. Something simple, something small, and something that gets the job done… every time. Today, I found a nice little deal on the MXR Phase 90. Currentky, the MXR Phase 90 is available for only $67.99 at Amazon.com and this price includes free shipping. Not too shabby at all. 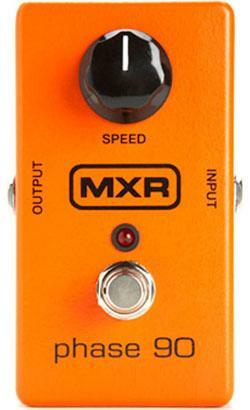 Do you own a MXR Phase 90 yourself?? Let us know what you think of that pedal by commenting below! Nice Deal on MXR M-101 Phase 90 at Amazon Crazy Good Deal on MXR Phase 90! Nice Deal on the MXR Handwired Phase 90 Looking for a nice deal on a MXR Phase 90? I own the MXR EVH Phase 90, which is basically the regular Phase 90 with a little extra EVH edge in the form of the Script switch that lets you instantly toggle between a vintage, “Script Logo” phase tone and a more modern, in your face “Block Logo” phaser. Love it! It’s a subtle change but I like having the extra versatility.